Accidents are an unfortunate part of fleet management but they can be mitigated through proactive management programmes which puts the welfare of staff first. Curtis Hutchinson reports. No matter where in the world fleets operate, the overriding consideration for employers must always be the safety of their staff. While local legislation on employee welfare varies from country to country, a basic premise followed by many companies is to treat the company car as an extension of the workplace and therefore subject to the same rules safeguarding staff. Fleet vehicles can rapidly become a dangerous environment when something goes wrong, which is why employers need to have accident management programmes in place that do not just address the needs of repairing or replacing broken metal. For every employee-related road traffic accident there is a human issue to address. Has the member of staff received sufficient post-accident care? Does their workload need to be reassessed? Is there a requirement for driver training? These human considerations should not be lost in processes geared towards recovering and repairing a vehicle which is why it is important for employers to regularly review the way accidents are managed from a staff perspective. Traditionally, accident management solutions provided by fleet management companies tended to be process-driven offerings centred around recovering the damaged vehicle, arranging hire cars and processing the repair. While these elements are clearly essential, they do not take into account the fact that the driver has been through an experience that may have been traumatic, even if the accident was only a minor one. The UK’s Institute of Car Fleet Management (ICFM) has long advocated the need for employers to have procedures in place to address the effect of accidents on staff and the need for fleet managers to work closely with those responsible for health and safety compliance within their company. The organisation’s approach to humanising accident management cuts across international borders, providing a good starting point for best practices wherever in the world fleet cars are operated. “Only focusing on the business risk is no longer an acceptable stance. Fleet operational responsibility has naturally evolved and now requires expert support from a broader range of fleet responsible stakeholders, which includes a company’s health and safety manager,” says ICFM director Peter Eldridge. As far as processes are concerned, the ICFM believes it is important to adopt an approach that identifies risk, assesses its possible impact and enables decisions to be made. Having the right processes in place is a fundamental way to manage both the immediate aftermath of an accident and the long-term impact on an employee, which is where having formal accident management cover in place is an important consideration. With driver welfare established as the starting point for any accident management policy, telematics can play an invaluable role in monitoring usage and identifying risk. Geotab, the specialist provider of fleet management telematics, operates across all seven continents, including Antarctica. Its European vice president Edward Kulperger believes fleets across the globe can benefit through greater use of live and historic driver data. Kulperger says connected fleets can ensure proper usage of the vehicle is adhered to through monitoring speeding, braking and acceleration, following too closely and even seat belt usage. “With this data, fleet managers can identify incentive and coaching areas to avoid accidents and optimise the total cost of ownership (TCO) of a vehicle through insurance and fuel usage. “In the unfortunate event of an accident, Geotab’s secure data can be used to create a comprehensive reconstruction of the accident – ultimately answering questions that may be raised during an accident investigation and speeding time to resolution,” explains Kulperger. 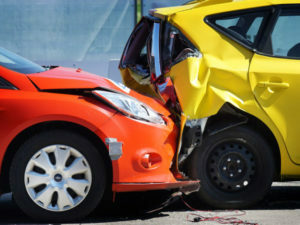 “Telematics data can also prove whether or not a driver is responsible for a collision, expediting the process of making an insurance claim. TMC, the fleet mobility solutions specialist, operates in 36 countries across the EMEA region, looking after 100,000 drivers, giving it a global perspective. TMC’s managing director, Paul Hollick, advocates the consolidation of telematics data to make it more meaningful. “In the past, accident management has typically been very reactionary. Risk associated with driving is often assessed in silos – driving licences are checked, telematics dashboards are viewed and accident rates are analysed but looking at these things in isolation can mean things slip through the net,” he explains. “It’s only by putting all the pieces of the puzzle together that you can see the complete picture and take a preventative, proactive approach to accident management,” he adds. Hollick believes fleets can reap benefits by using data to look at the bigger picture and identify driver trends. By better understanding how company vehicles are used, fleets can take a more informed approach to managing employee workloads and mileages and even identifying the need for driver training to address any shortcomings. “Aggregating mileage data with data from insurance companies, fleet management companies and telematics enables businesses to spot potential risks and identify drivers who may need to be looked into. “For example, from your telematics data you can identify dangerous driving styles and highlight drivers doing lots of trips between 1,400 and 1,600 – an incident hot spot,” says Hollick. “While your insurance data enables you to see who has made claims and data from your leasing company highlights drivers who have had significant wear and tear on their company vehicles and who have received fines. Overlaying all of this information with mileage and driving licence points, you can build a 360-degree view of your drivers and identify any high-risk drivers and decide on a course of action to minimise incidents. “We have seen more and more demand for this service from our international clients as we can bring all of their data together for them across all markets to give them visibility across the board and help them to manage their risk more effectively,” he adds. Meanwhile, one of the biggest global providers of accident management services is LeasePlan, offering it across more than 30 countries. It believes most fleets can achieve the greatest benefits by outsourcing the service to specialist providers. In conclusion, the best advice to fleet managers could be to make sure a robust accident management policy is in place that puts the wellbeing of staff first. Also, make sure your provider’s service reflects local nuances. For accident management to work across different territories, programmes must be tailored to account for different legislative requirements, according to Ken Costello, manager of fleet maintenance at ARI Fleet, which manages over 1.5 million vehicles in North America and across Europe. “For fleets who operate on a global scale, it’s extremely difficult to implement a one-size-fits-all solution for accident management. The vehicles, laws and regulations, and operating parameters vary so much across each country, often even by region or province, that in-country expertise is vital to a successful accident management programme.